Rarely will you see a company post a record quarterly revenue and still see its stock price take a nosedive. But that’s what happened as Facebook’s stock took a nosedive on Wednesday by more than 20 percent after its second quarter earnings report. The company’s $13.23 billion for the quarter was its best-ever, but that huge haul still fell short of Wall Street’s lofty $13.34 billion projections. Compounding matters, CFO David Wehner told investors on the company’s earnings call to not expect the same rapid sales growth in the quarters ahead. “We expect our revenue growth rates to decline by high single digit percentages from prior quarters sequentially” during the second half of 2018, said Wehner. In other words, Facebook revenue will continue to rise, but not at 42 percent year-over-year like it just did in Q2 2018. 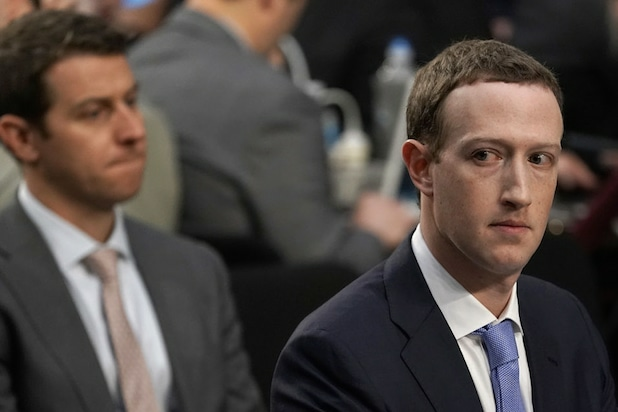 Facebook was already taking a Wall Street beating after making its earnings report right as markets closed — as its share price fell by nine percent before the earnings call started. After Wehner’s remarks, the price fell to twenty percent. Facebook shares were down 21 percent by the time the call wrapped up. After hitting a new all-time high of about $218 earlier on Wednesday, by dinnertime on the east coast, Facebook was trading below where it was at the start of 2018. Facebook has previously warned that the work it’s doing to combat bad actors on its platform, as well as the privacy laws, would impact user growth. Still, this was also Facebook’s first full quarter since it was hit by the Cambridge Analytica data leak — where up to 87 million users had their information unwittingly accessed. That scandal may have played a key roll in Facebook’s dwindling growth, though the company didn’t mention it at all during the call. 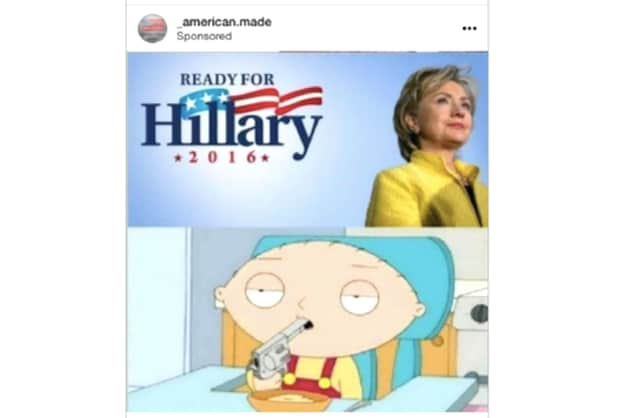 There is still plenty for Facebook’s true believers to boast about. Ad dollars are flowing in, and same is true for Instagram and the other apps in its arsenal. 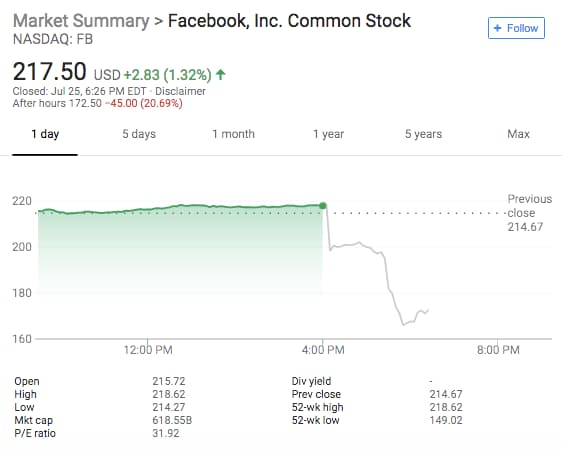 But lagging user and revenue growth, coupled with the scars of that massive data leak, has Facebook staring down its worst post-earnings share price drop in company history.